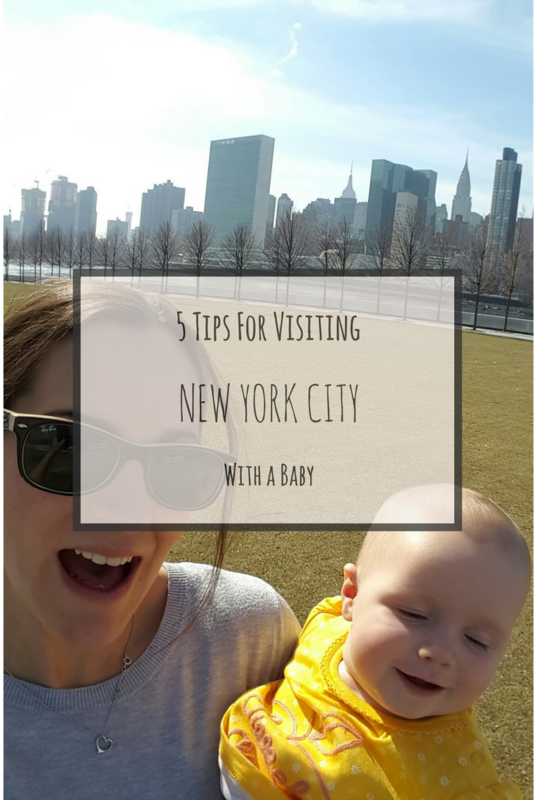 New York doesn’t always spring to mind when you think of baby friendly holiday destinations, but following my trip when Miss T was only 6 months old I’ve put together my top 5 tips for visiting New York City with a baby. Flying with an infant can be a daunting experience. 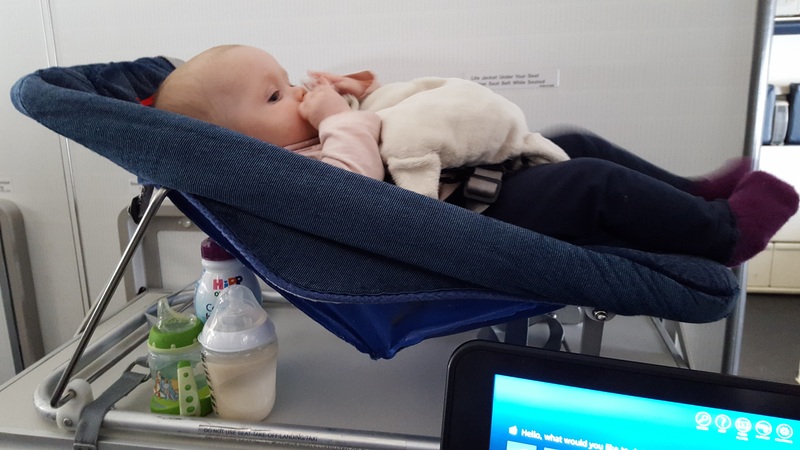 To ease some of the stress, see if your airline offer infant friendly seats. I flew with British Airways and they offer bulkhead seats with a fold down table to which they can attach a bassinet or a baby seat. It was a lifesaver! (I flew back with American Airlines and was offered no such luxury). 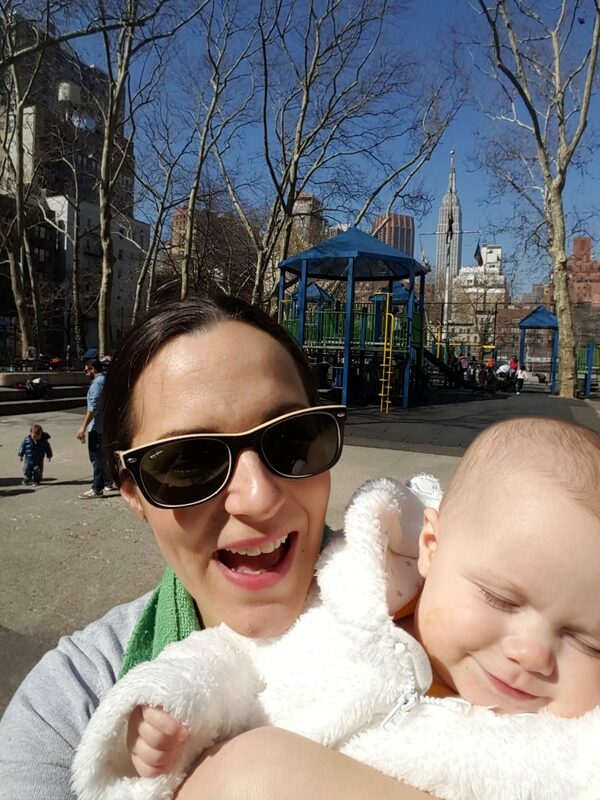 There is a vast public transport system in New York but, as with any busy city, getting around it with a baby and a buggy is not always very easy. So pull on your comfiest trainers and hit the streets! 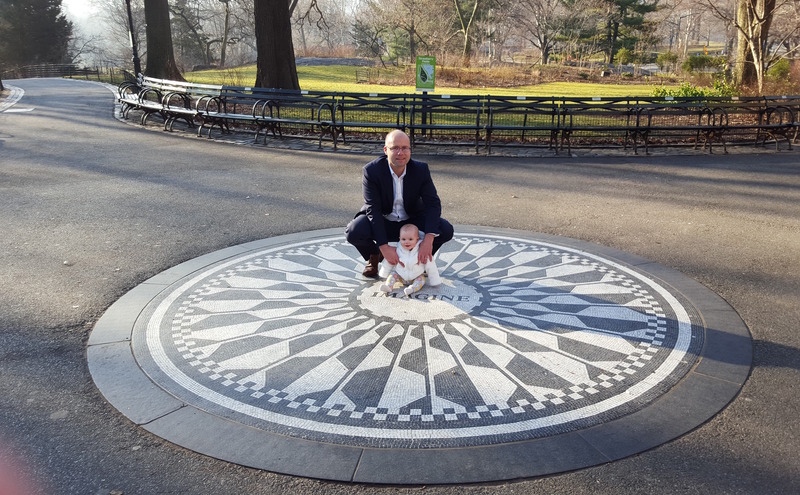 Walking around New York City with a baby can actually add to your tourist experience – around every corner you will find either a famous landmark or a new discovery. If your feet do give up on you, as mine did, you can easily jump onto a bus, but be aware that you will need to fold your buggy down. The Subway has steep steps and is not very modern but I did manage it with Mr DaisLikeThese’s help. 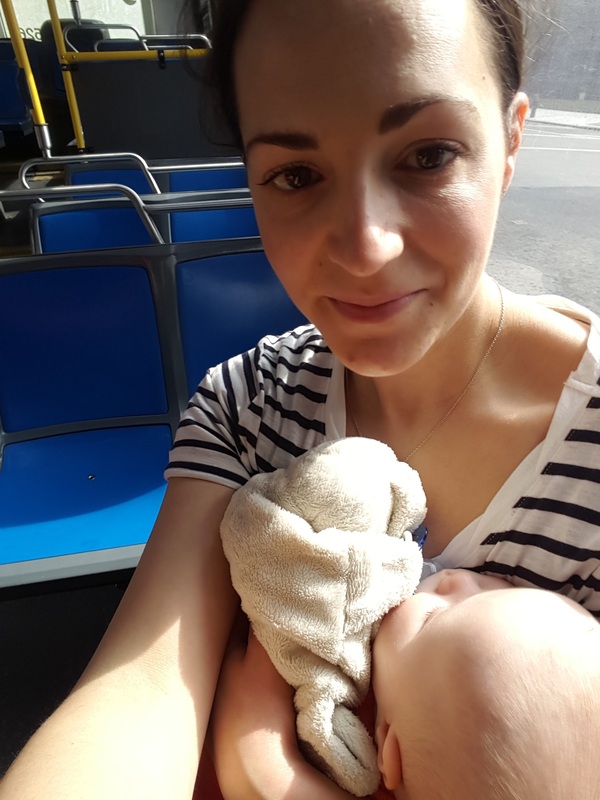 Braving the bus with a sleeping baby! 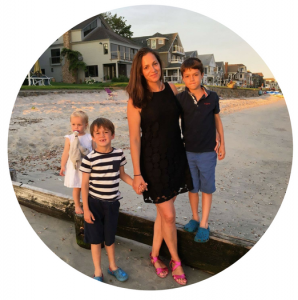 Whether it’s the jet lag, or the baby getting you up early – use it to your advantage! Walking around the streets of Manhattan early in the morning is so much nicer and easier with a buggy than it is later in the day. Not only that, the attractions are quieter too! 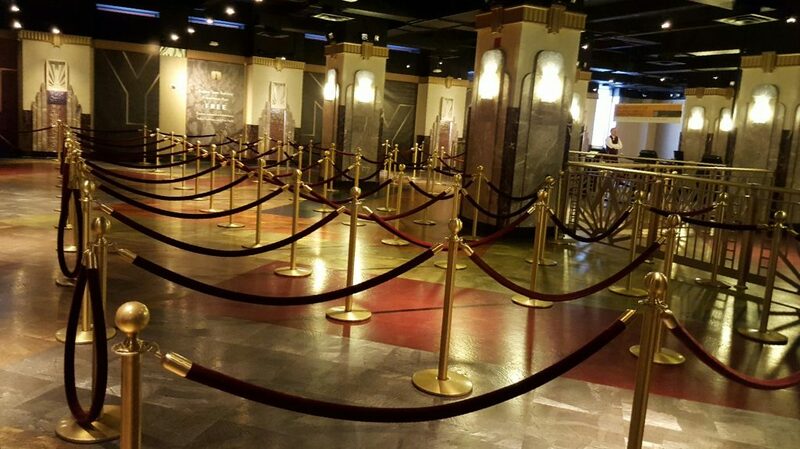 Be first in the queue for busy tourist sights, with less stress too. You will be rewarded with completely empty attractions! 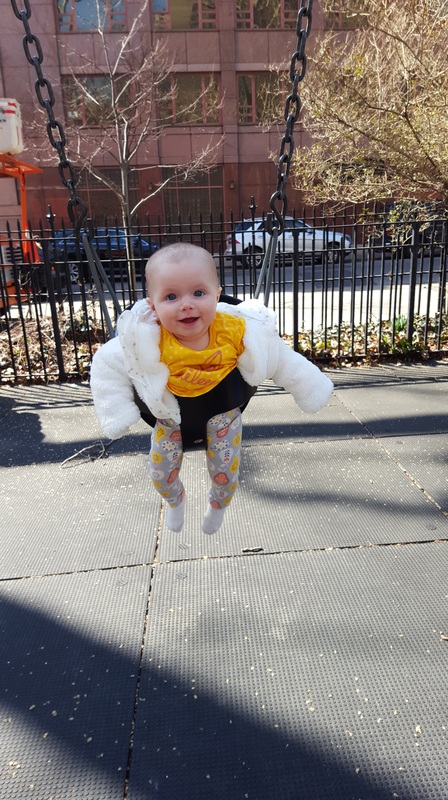 Despite being a bustling city, New York has some fab children’s play areas dotted around. Not only is it a chance to mingle and chat with some local families, it’s perfect for a pit stop to play (depending on your baby’s age), feed or rest! 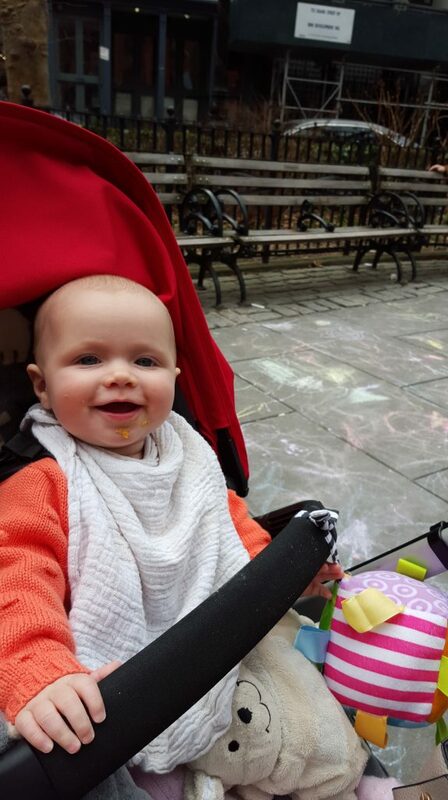 We’re not talking a raucous night out, but experiencing a bit of nightlife in New York with a baby in tow is not impossible. Obviously most bars and some restaurants will operate a strict over 21’s policy in the evening but with a bit of planning ahead you can find some exceptions. 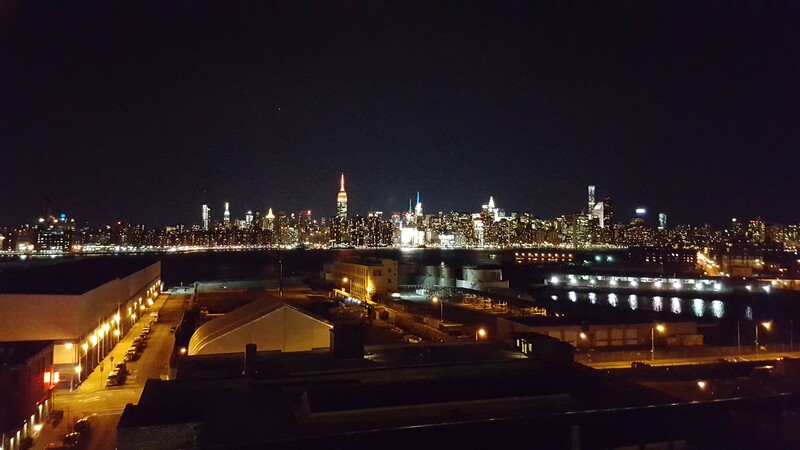 Hotel bars tend to be more family friendly, none more so than the Wythe Hotel in Brooklyn. Not only do they allow babies, but it is super trendy and has the most amazing view back across the East River of the Manhattan skyline. We went for an early evening cocktail and there were three other buggies in the cloakroom so we certainly weren’t the only ones taking the opportunity! 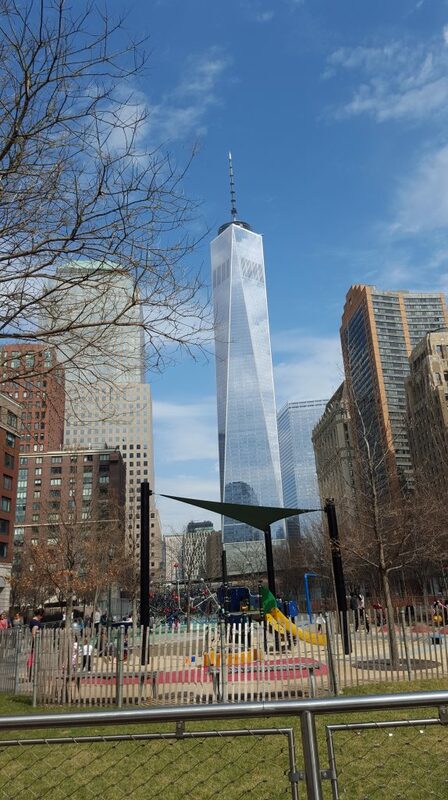 If you want to discover more about our trip, take a look at my travel diaries from my time in New York City. 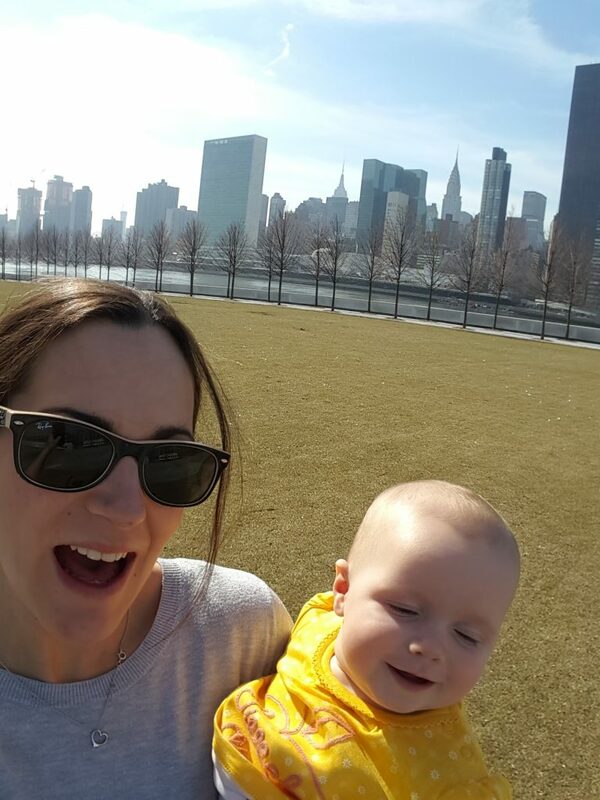 And if you are travelling to New York (or on any other trip for that matter) with a baby then be sure to check out this list of essentials from Cath over at Battle Mum. We’re actually considering our summer holiday there (and The Hamptons) next year as our two older boys were painfully jealous when I went without them!! I think they’ll love it. Thanks! 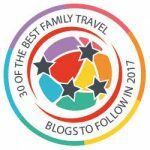 I’ll look out for your posts – always great to get tips for travelling with kids. Thank you for sharing, that’s great of you! I actually feel travelling with a baby is sometimes easier than with older children. I’m not sure I’d get away with sightseeing with Baby DaisLikeThese in the buggy all day now that she is walking – she just wants to get out and toddle! Lovely photos. I like the idea of exploring the city early in the morning, something good has to come out of being awake so early!